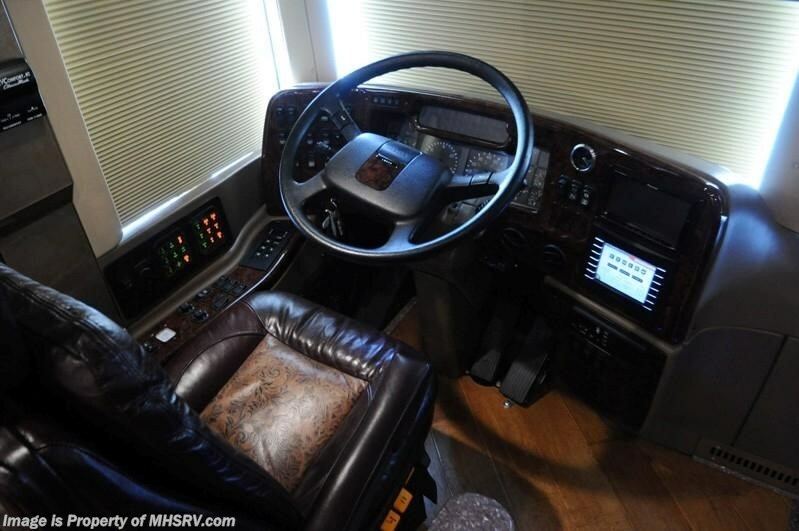 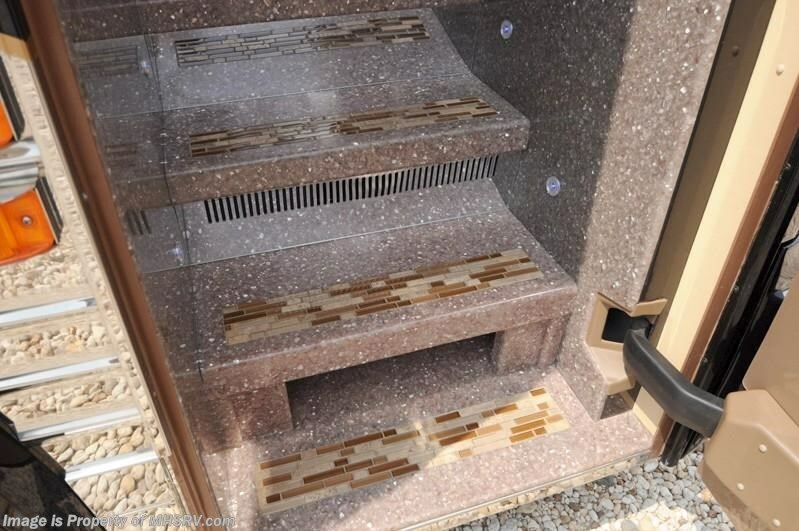 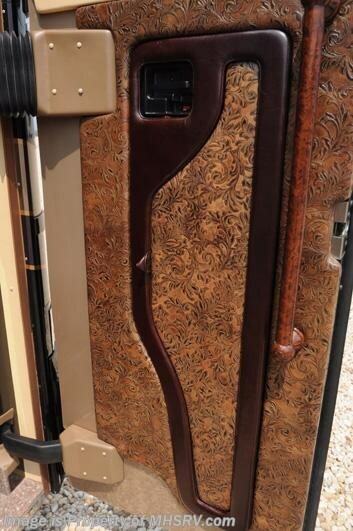 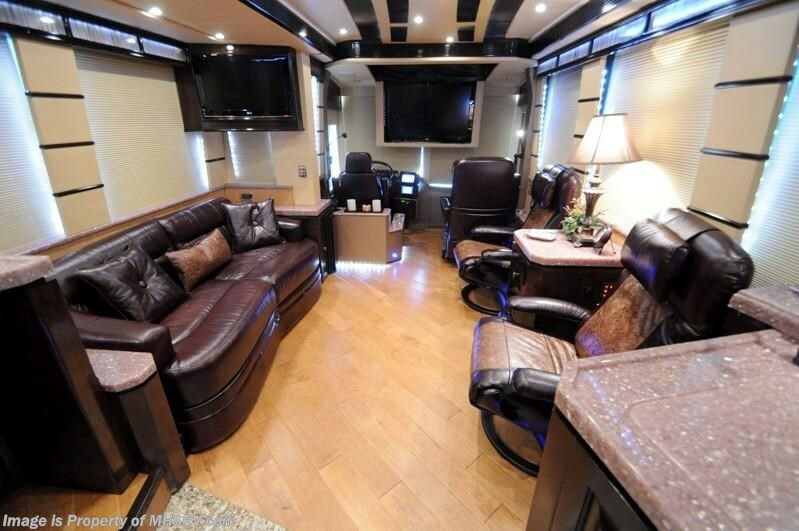 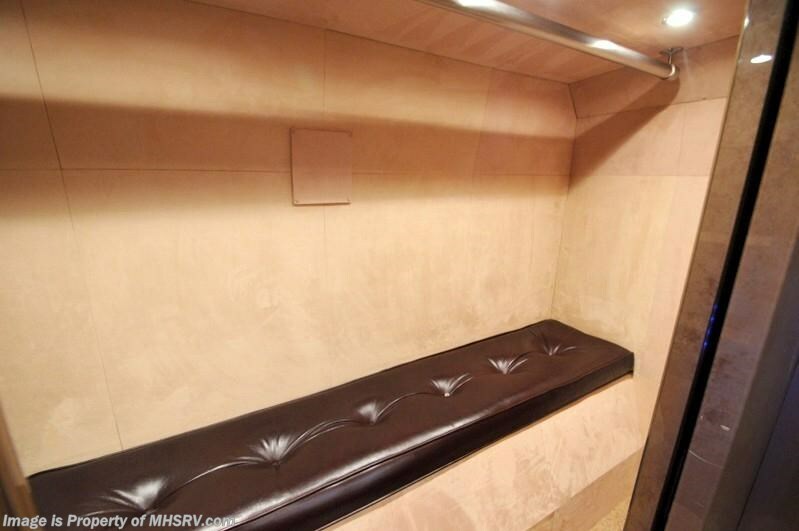 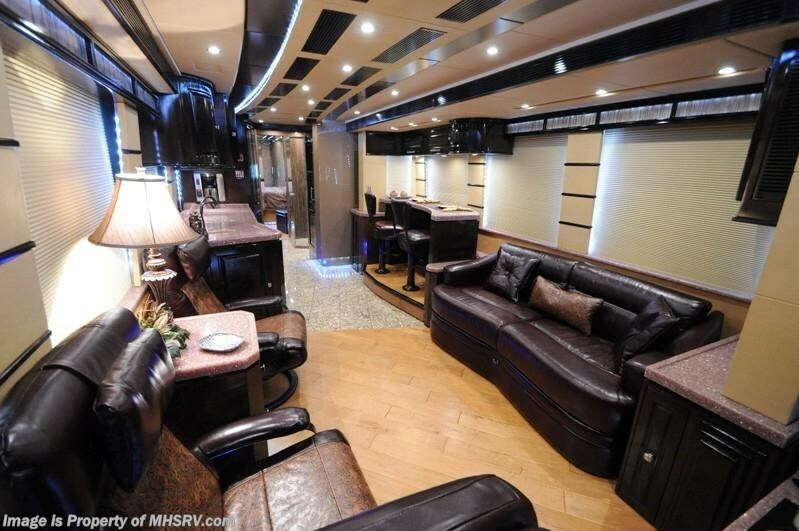 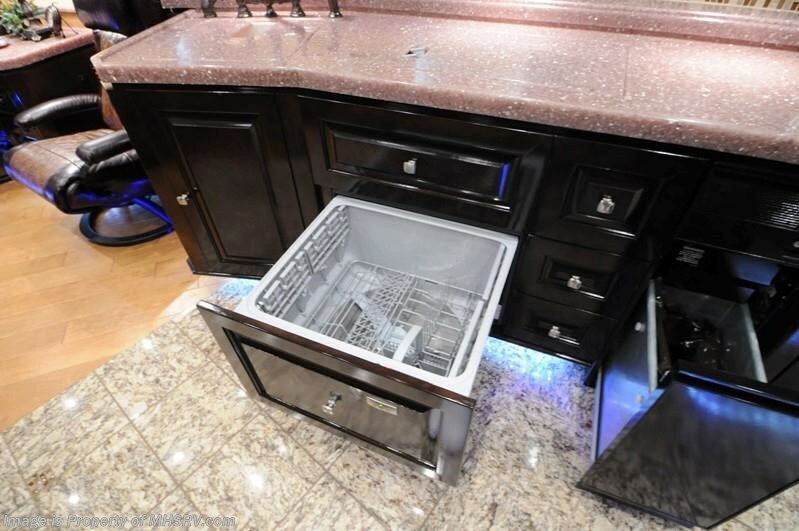 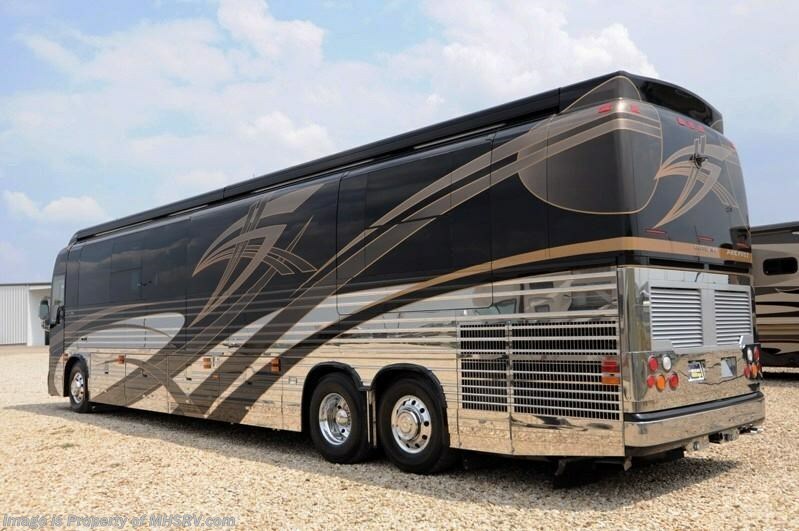 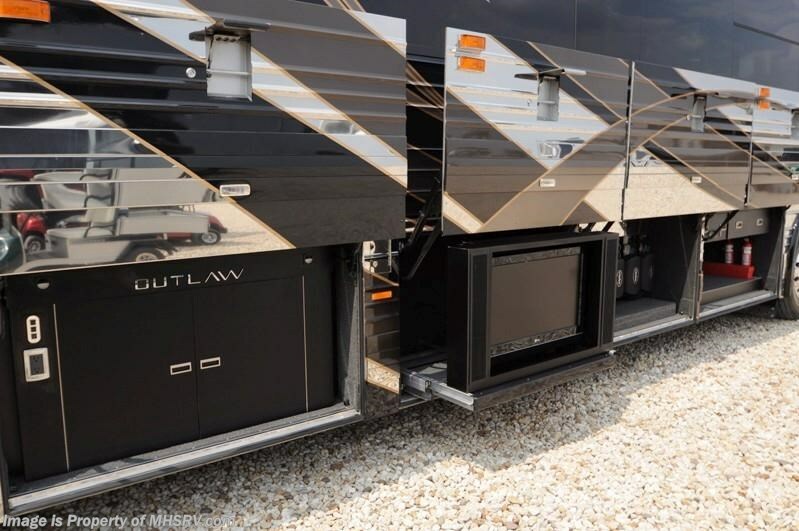 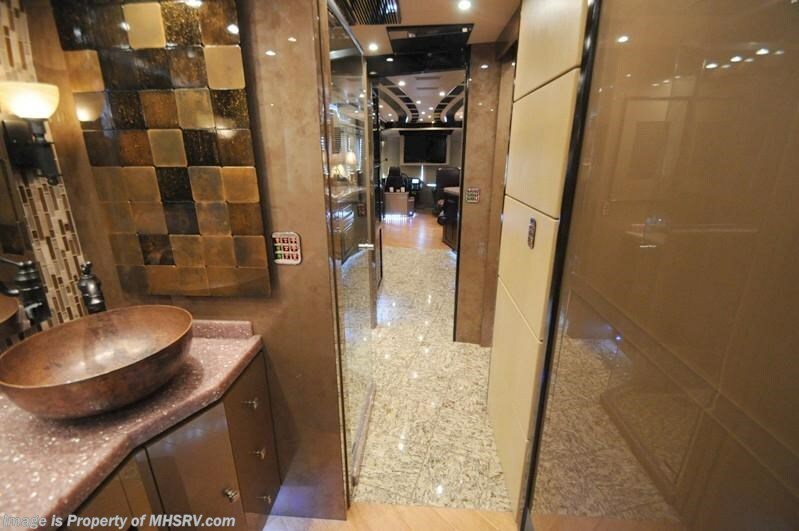 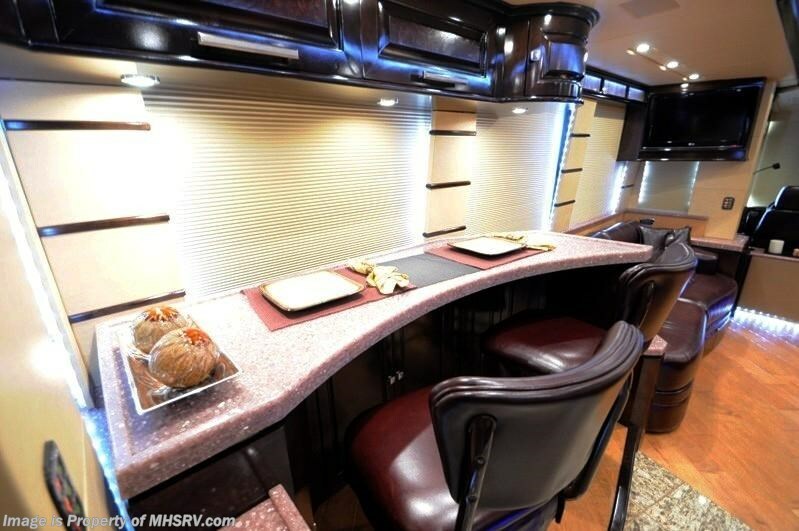 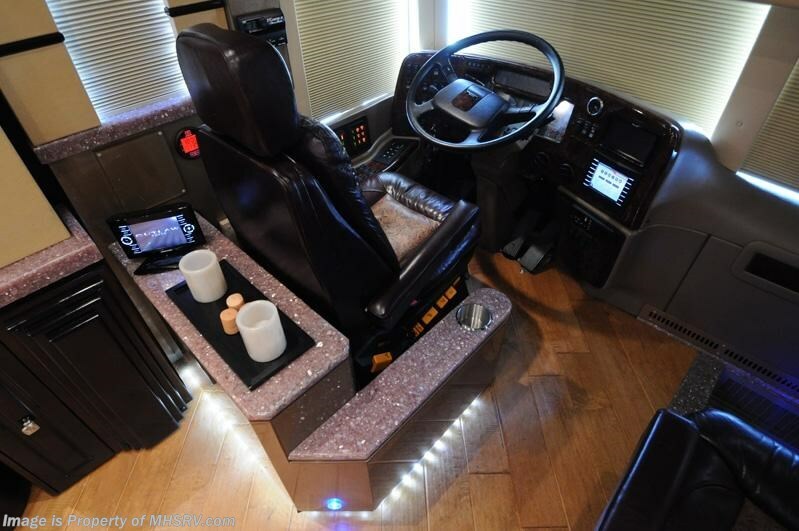 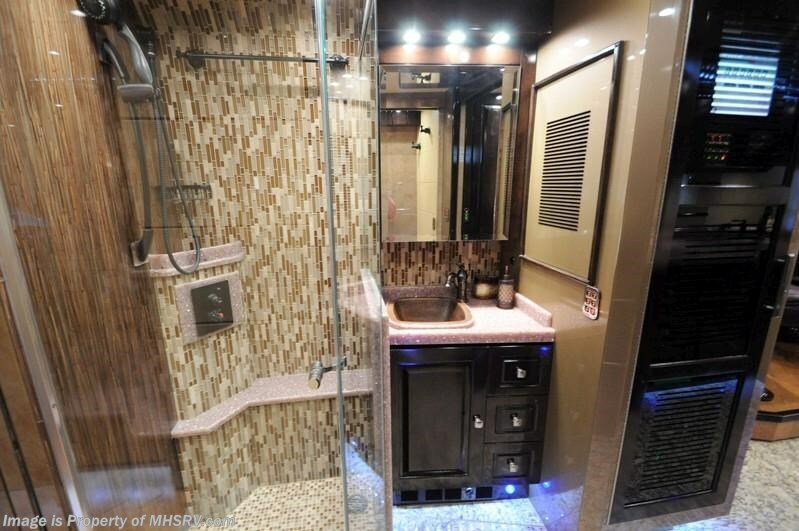 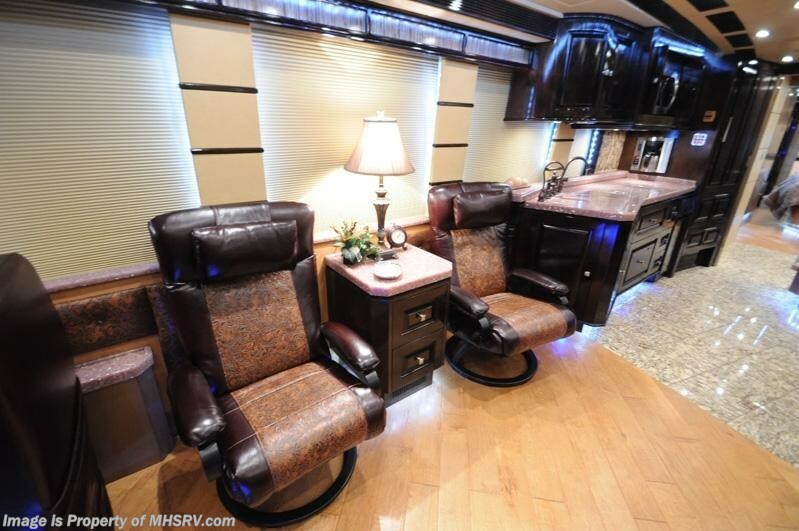 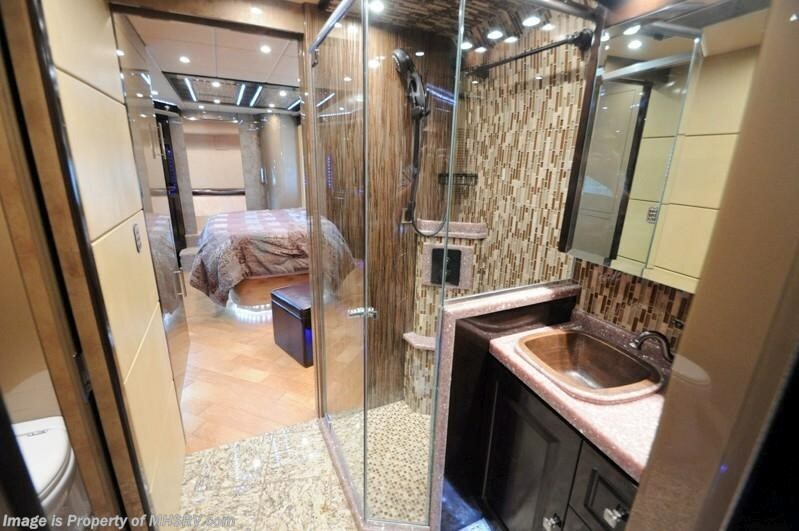 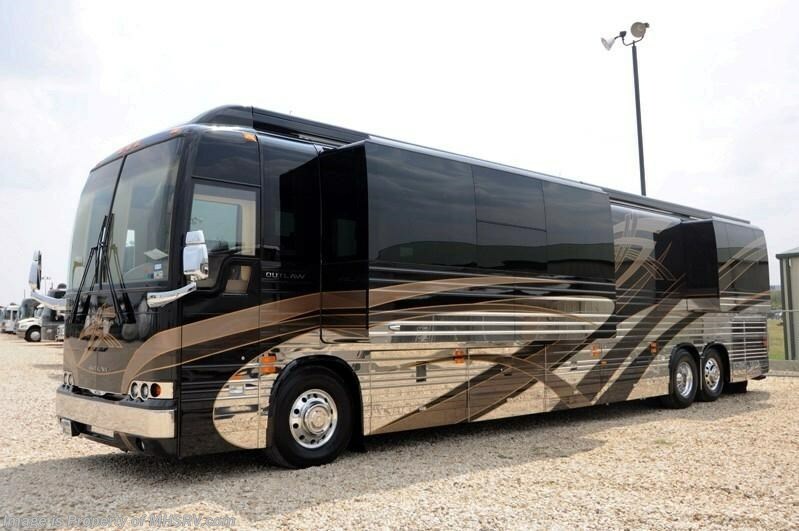 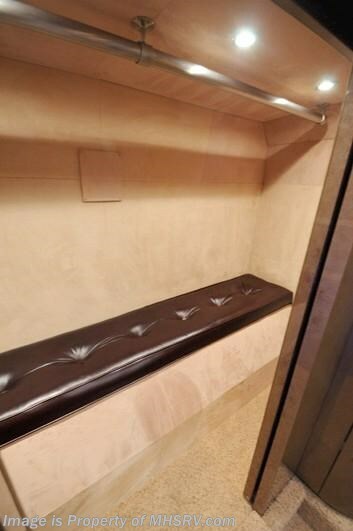 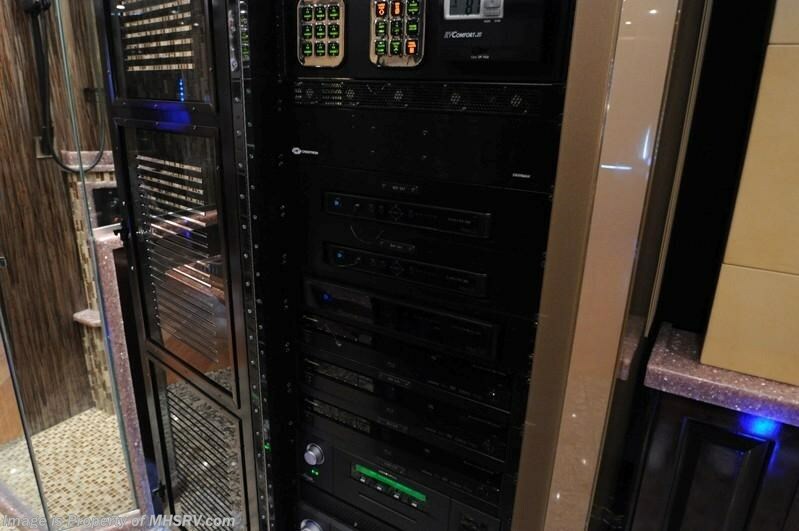 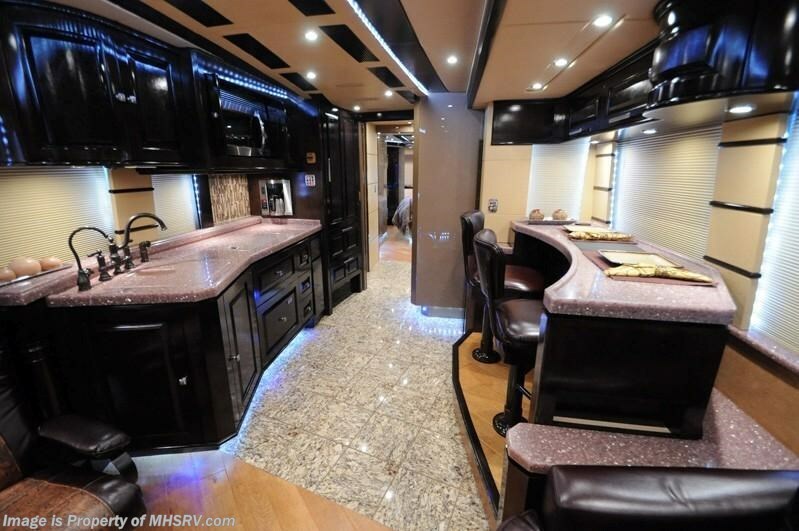 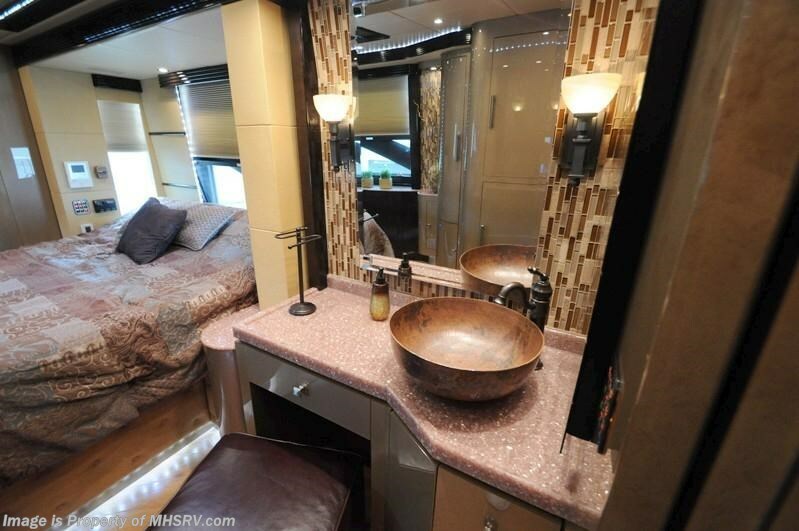 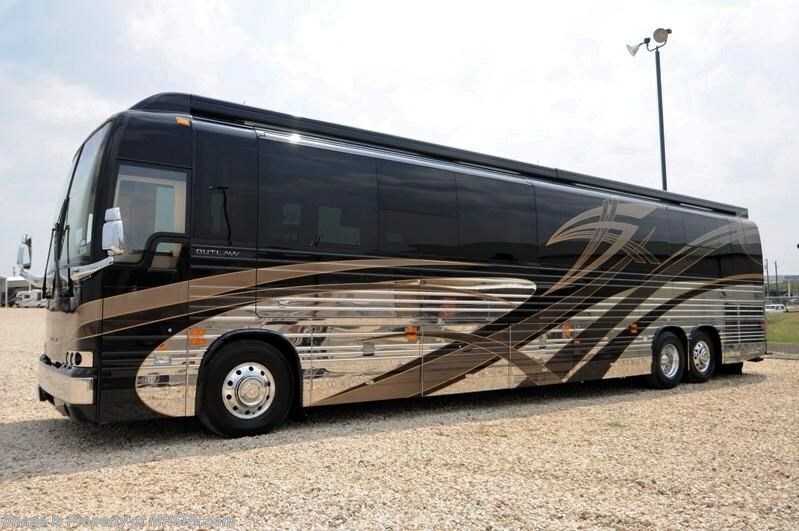 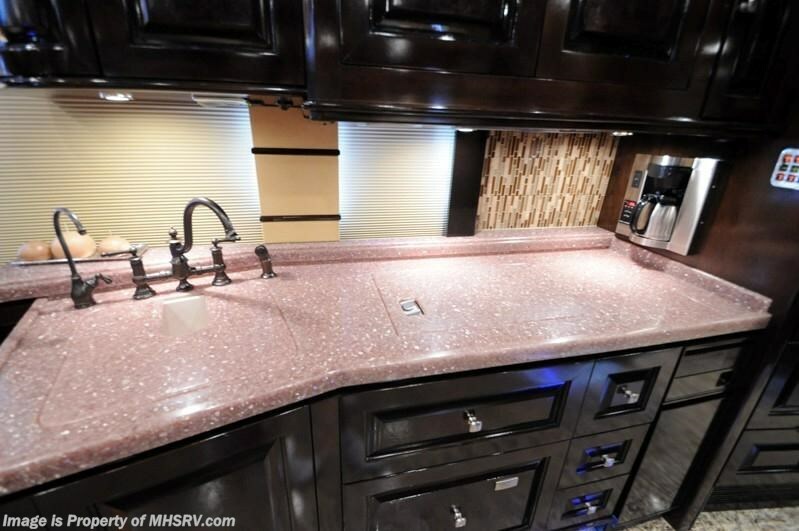 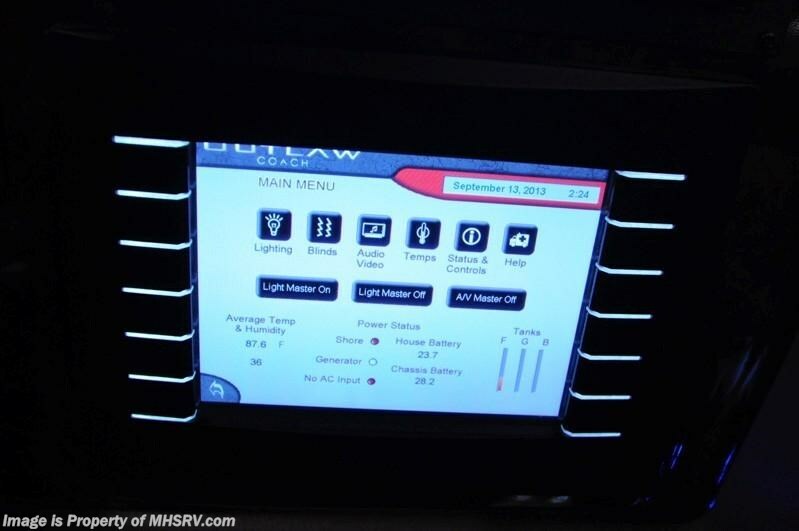 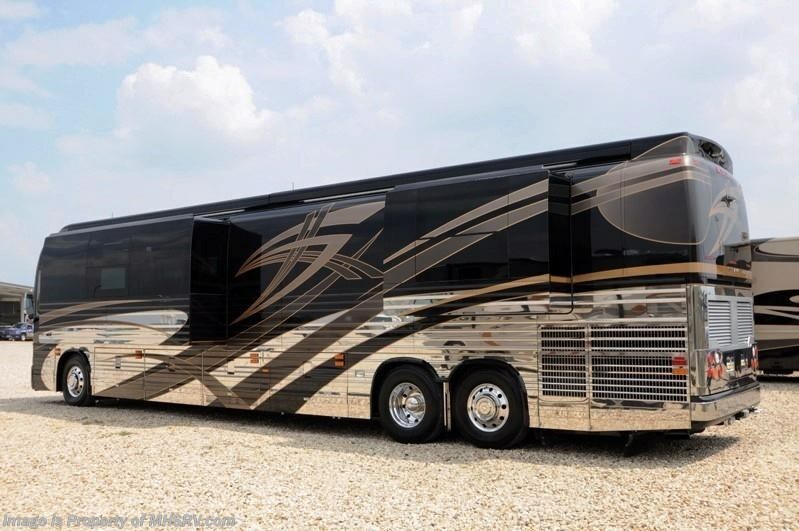 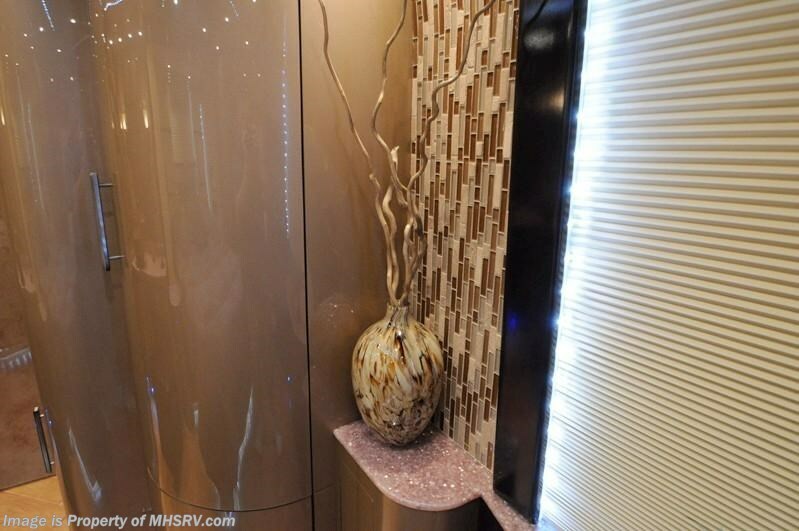 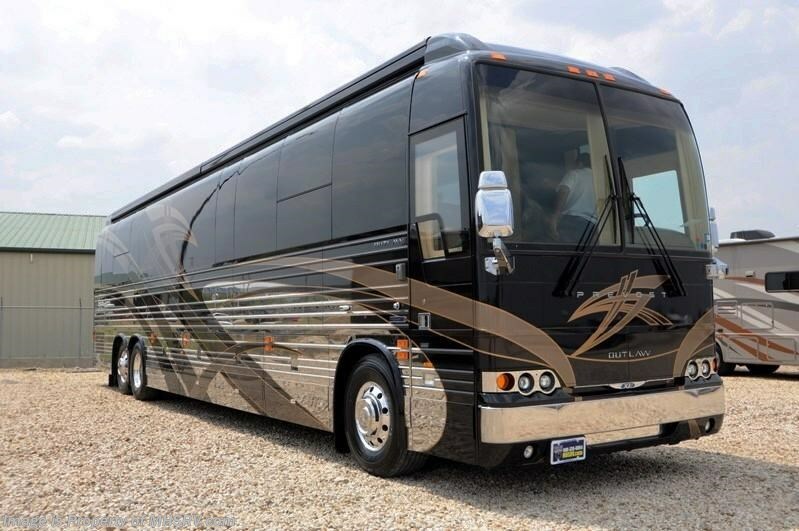 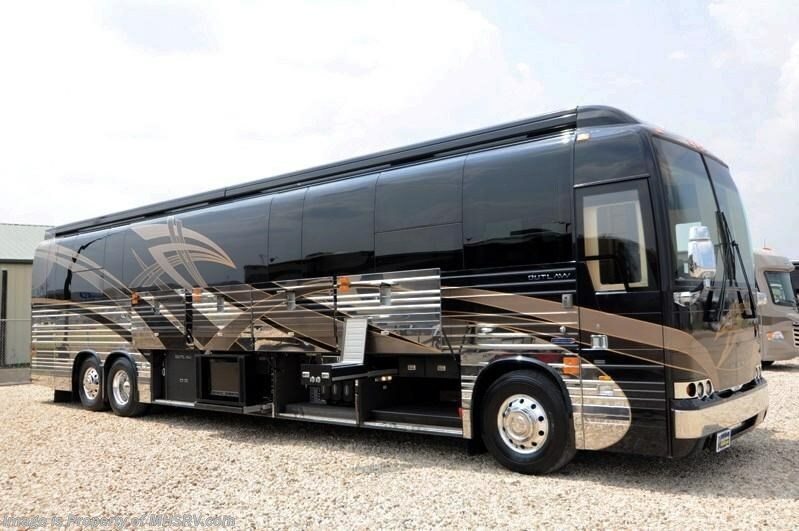 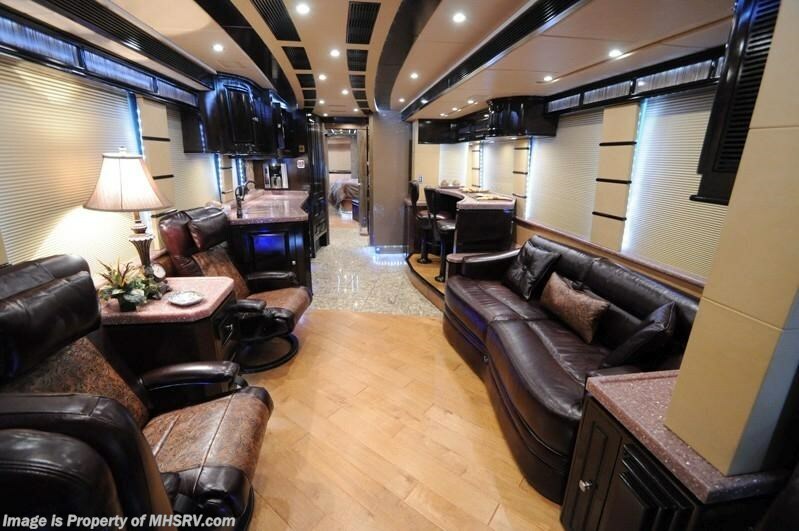 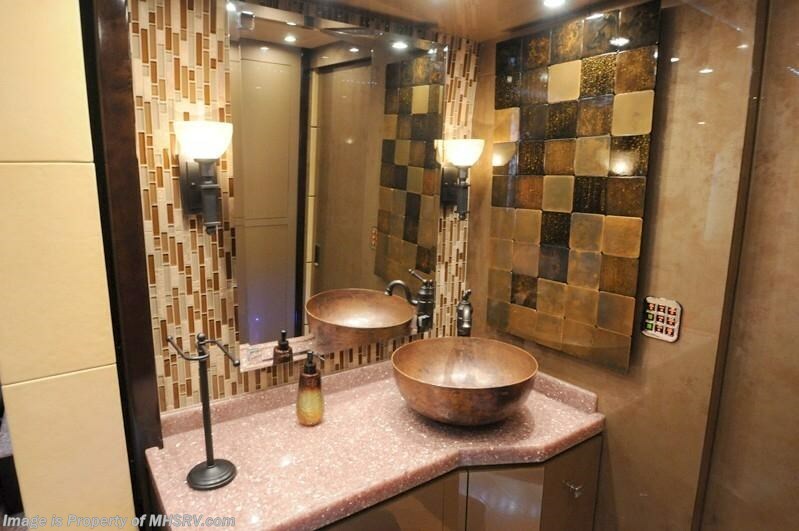 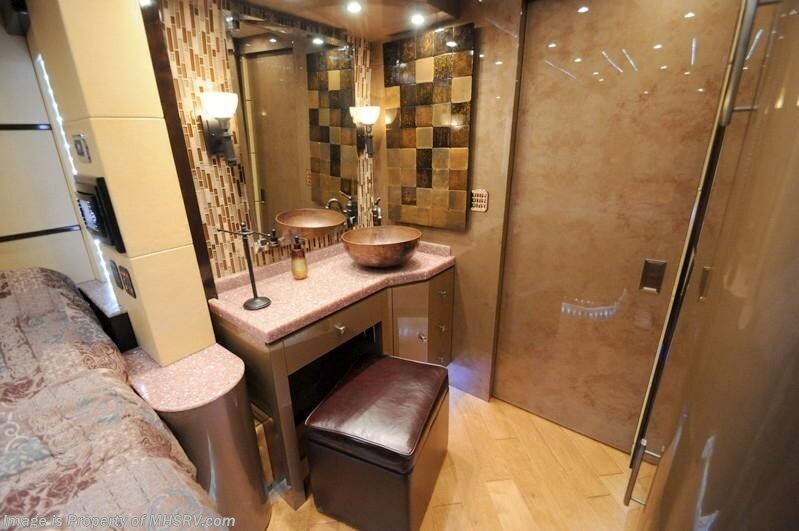 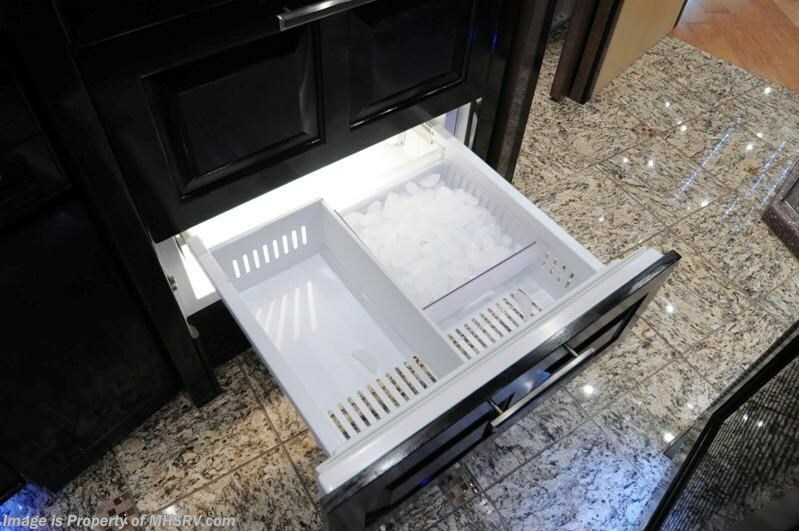 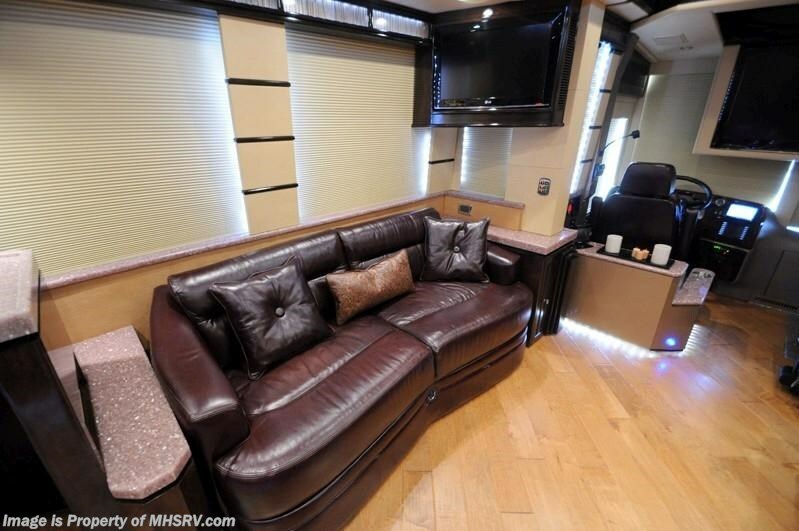 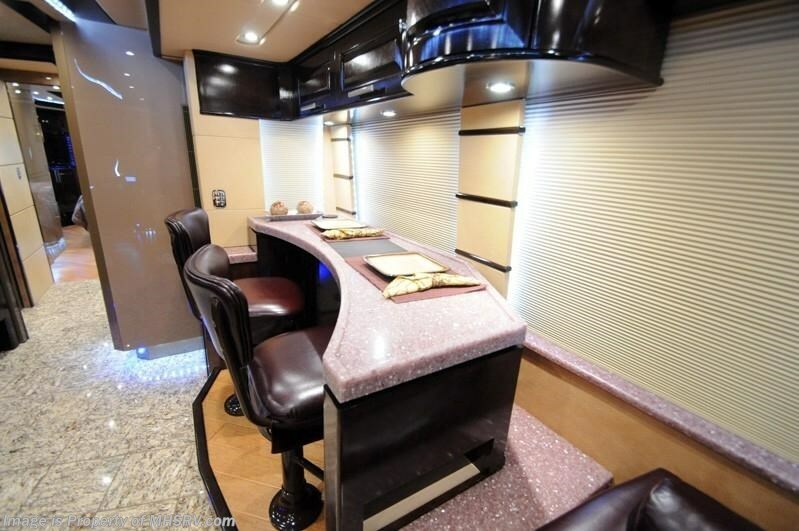 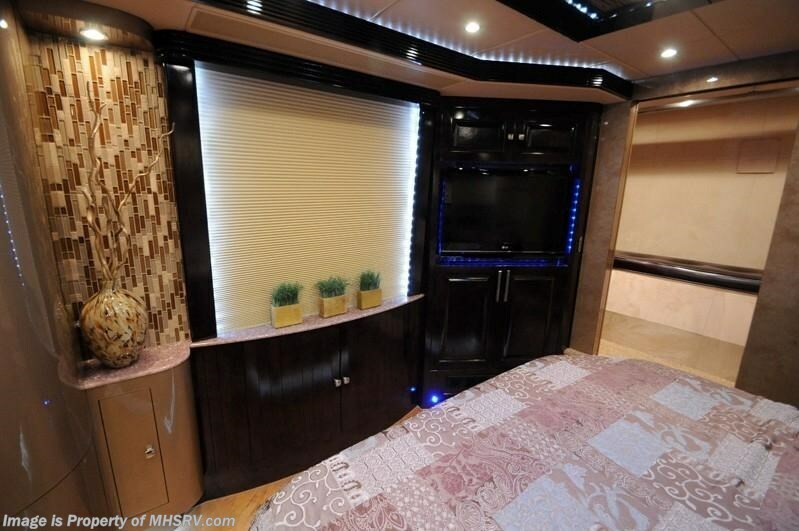 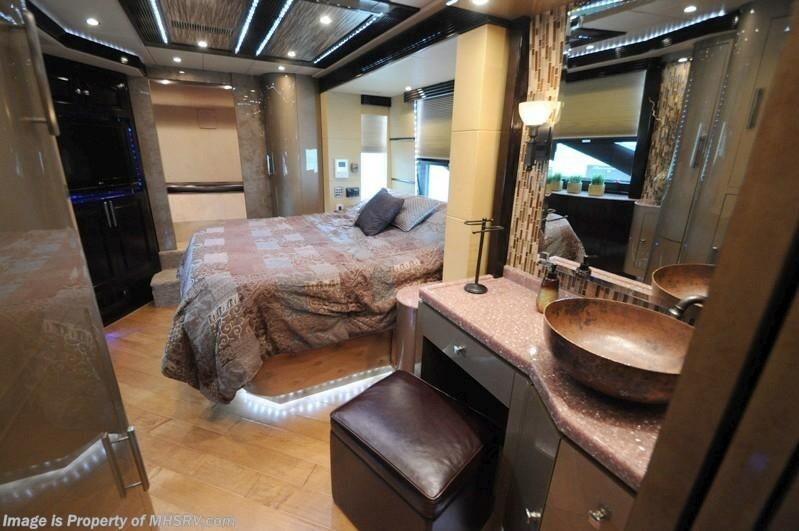 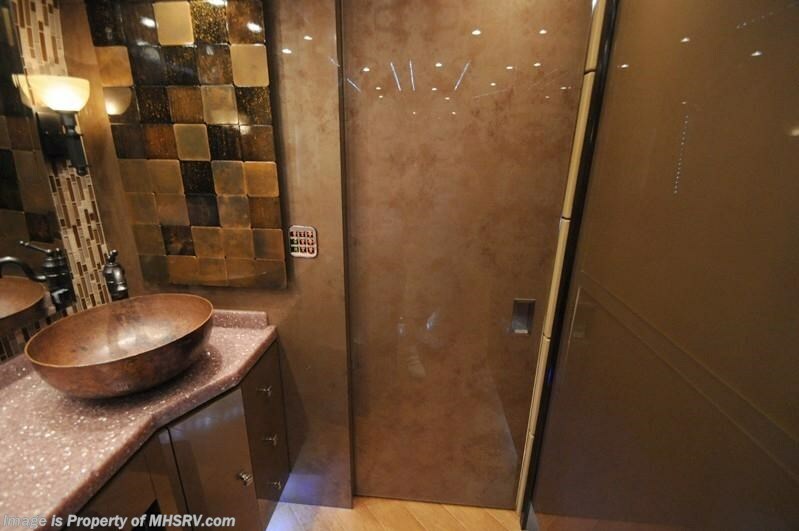 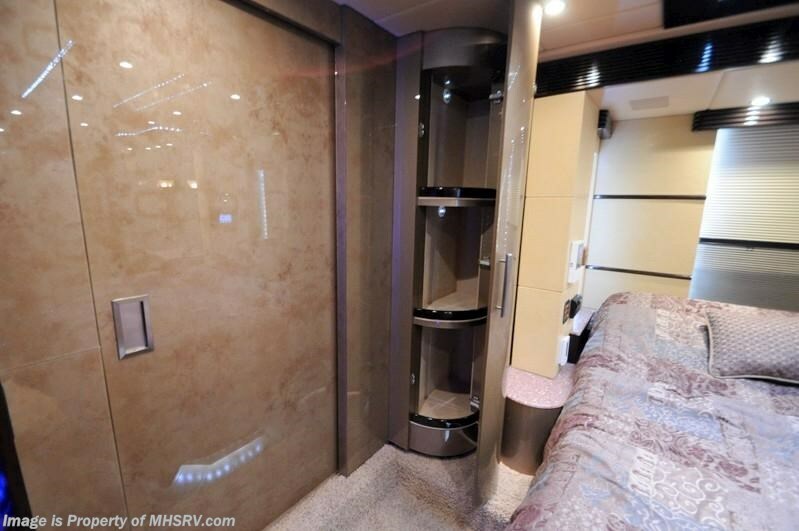 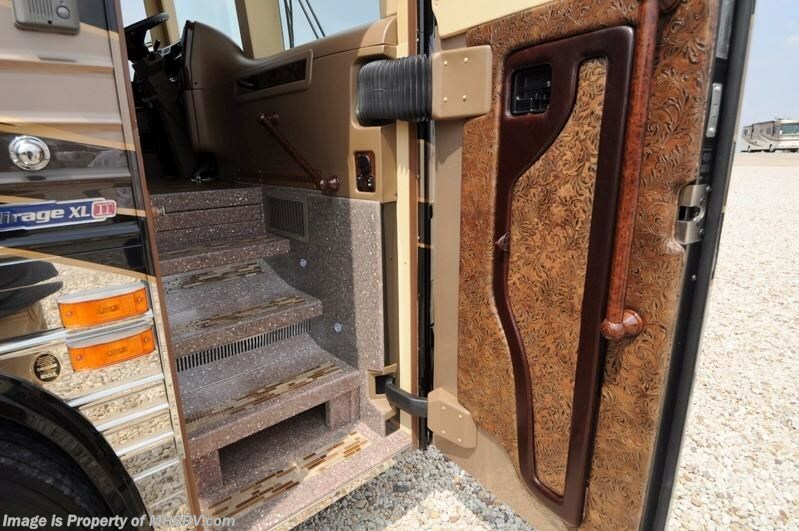 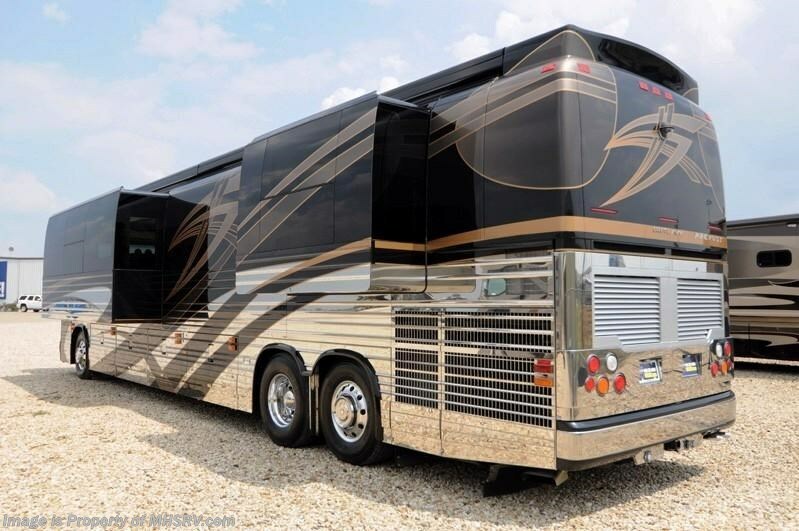 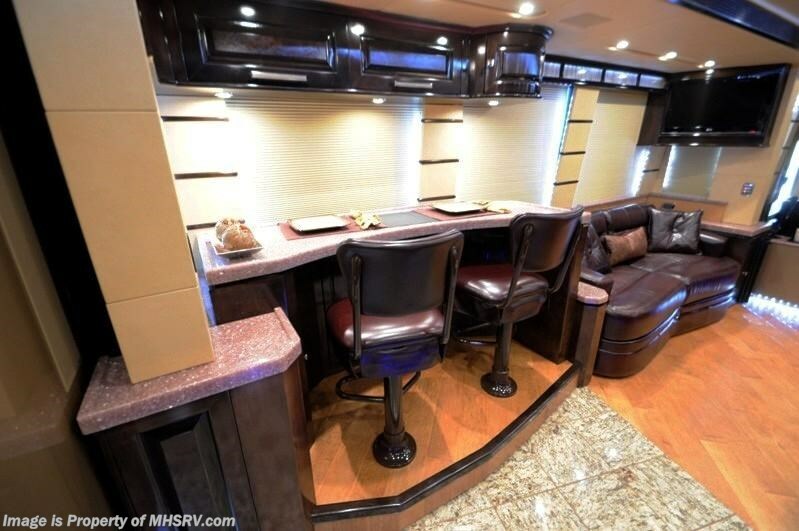 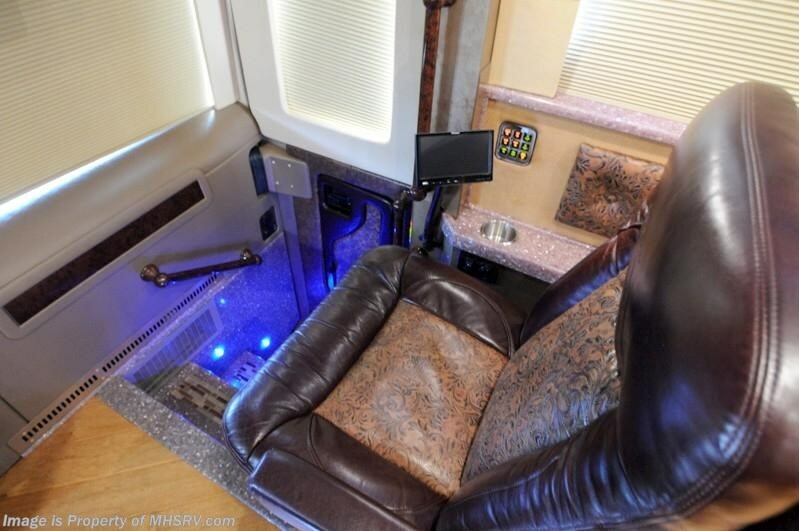 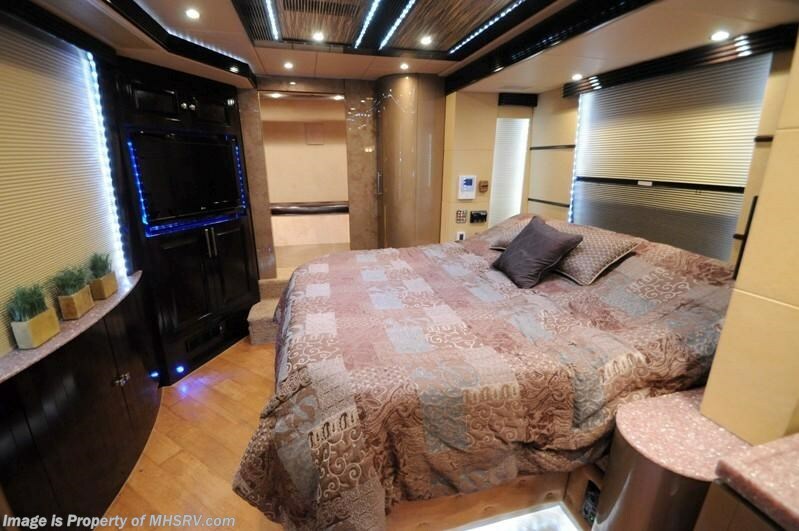 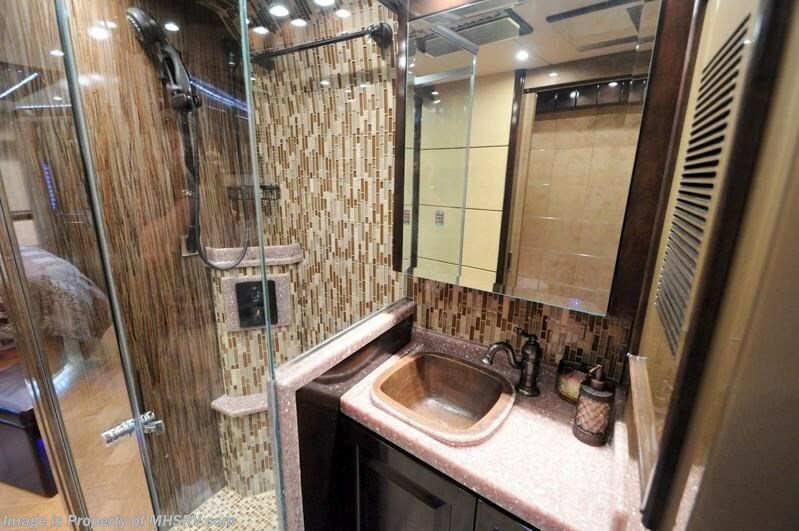 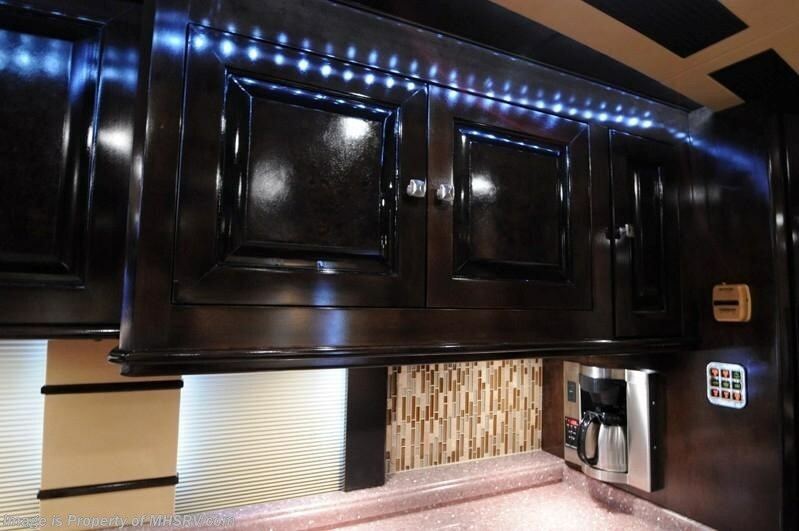 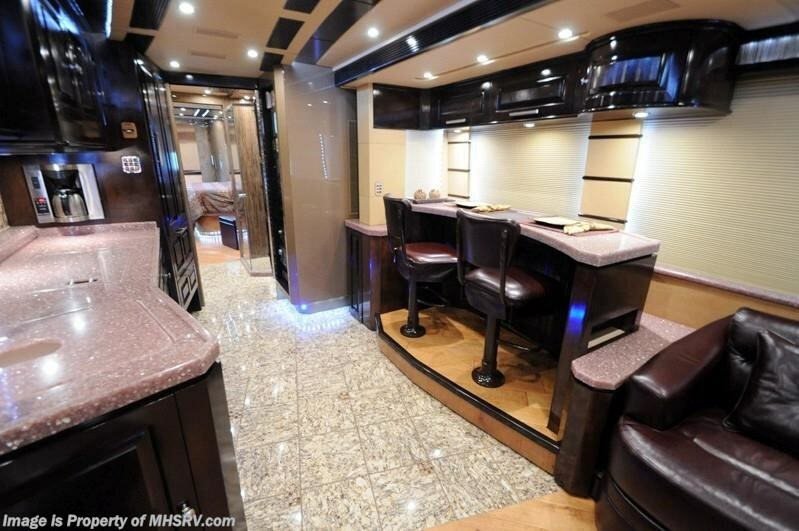 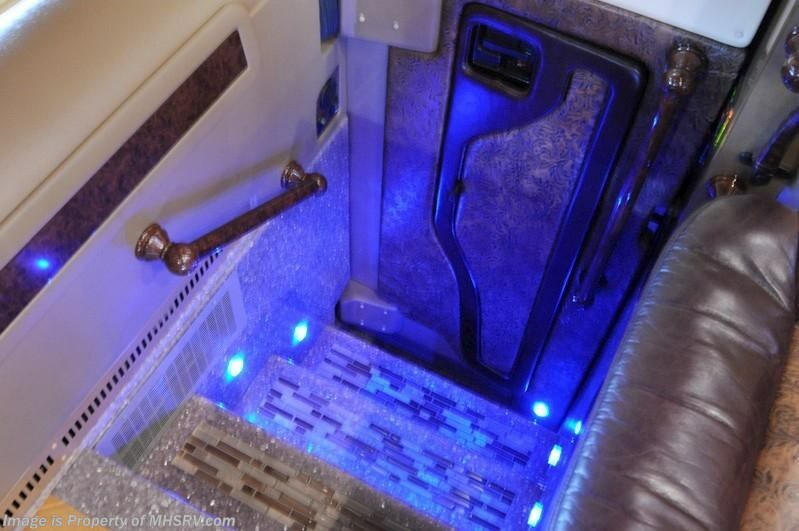 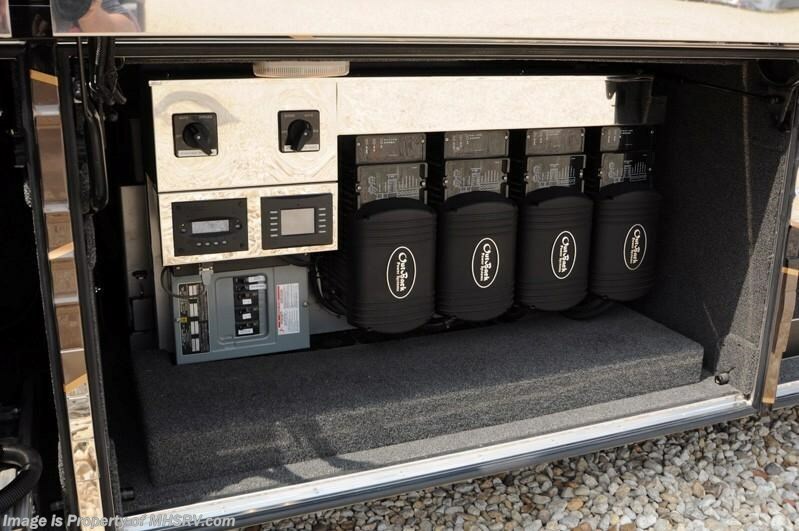 /TX 10/26/2013 Prevost RV for Sale- 2011 Prevost Outlaw XL II with 2 slides and 30,913 miles. 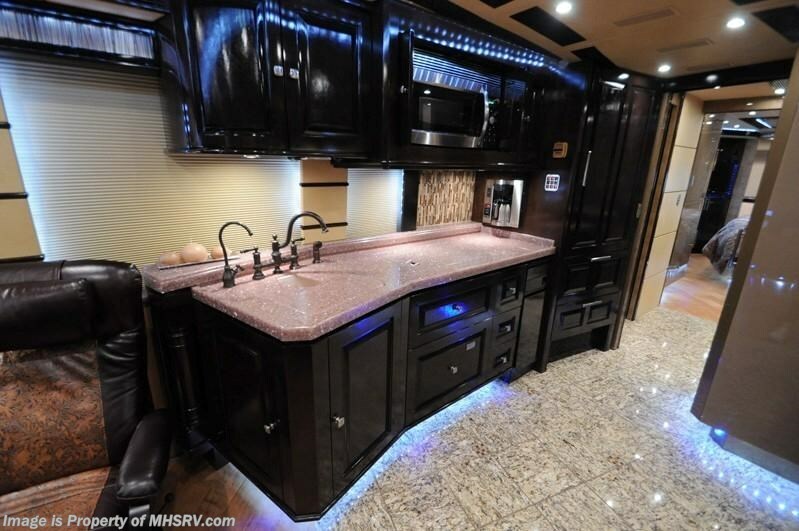 This beautiful RV is approximately 44 feet in length with a 515 HP Detroit 60 engine with side radiator, Prevost raised rail custom chassis with IFS and a tag axle, power mirrors with heat, power windows and locks, 20KW Powertec generator, 2 power patio awnings, utility power cord reels, Wasboso heating system, pass-thru storage, full length slide-out cargo tray, aluminum wheels, exterior grill, keyless entry, exterior sink, 20K lb. 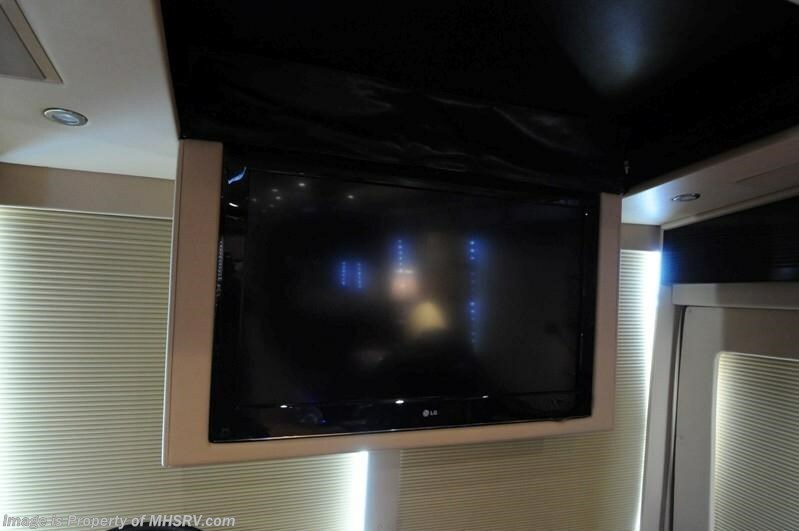 hitch, Prevost leveling system, color 3 camera monitoring system, exterior entertainment center, 4 Outback inverters, ceramic tile heated floors, solid surface counter, multi-plex lighting, all electric coach, all hardwood cabinets, dual pane windows, convection microwave, dishwasher, trash compactor, 3 door residential refrigerator with ice maker, washer/dryer stack, memory foam mattress, safe, 4 ducted roof A/Cs with heat pumps and 4 LCD TVs. 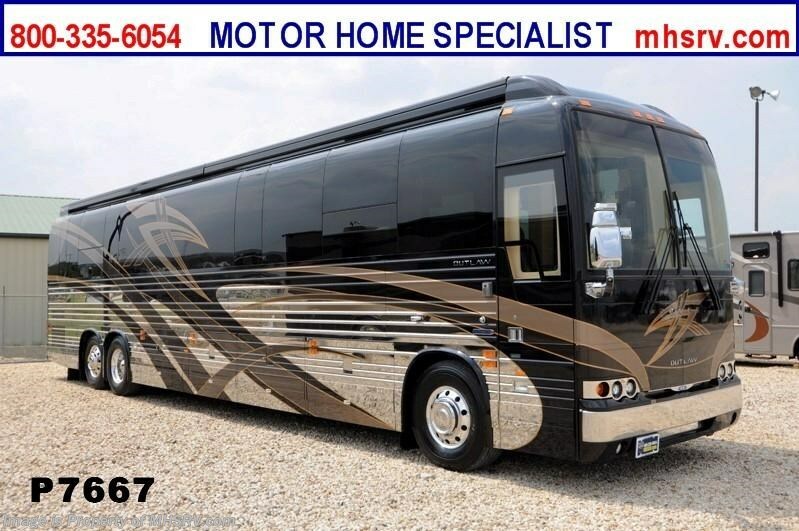 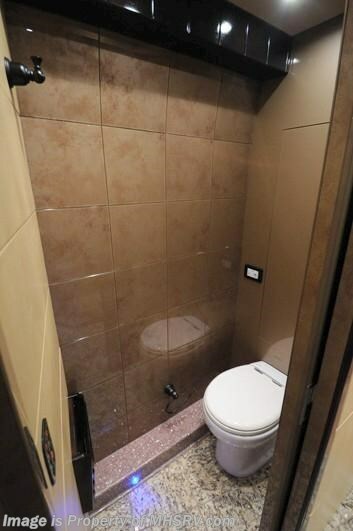 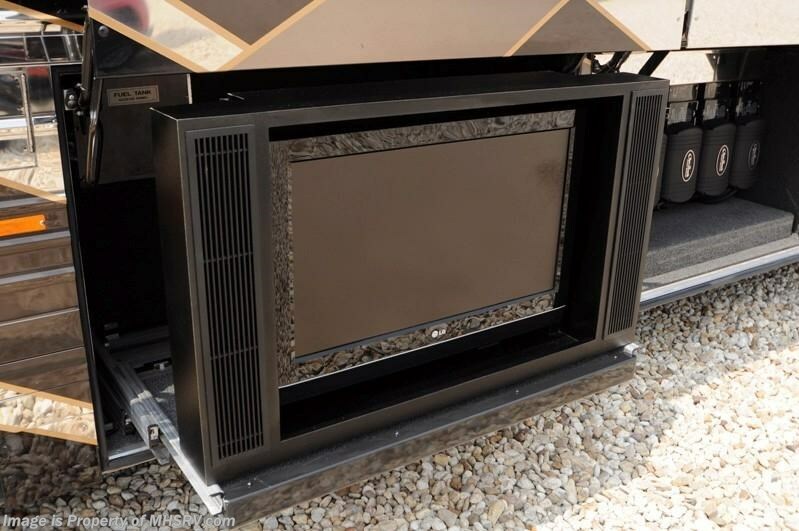 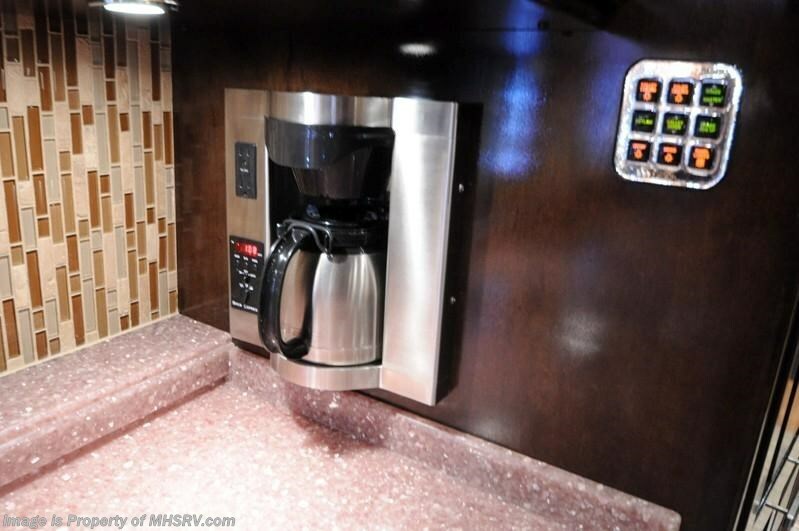 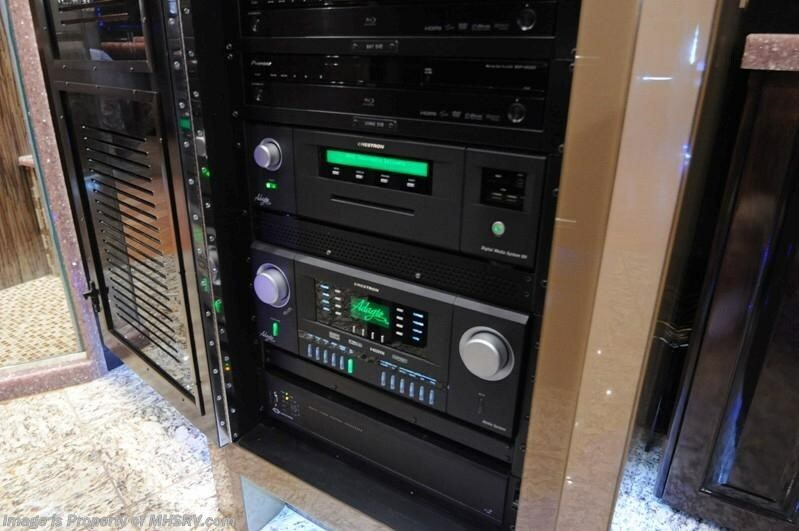 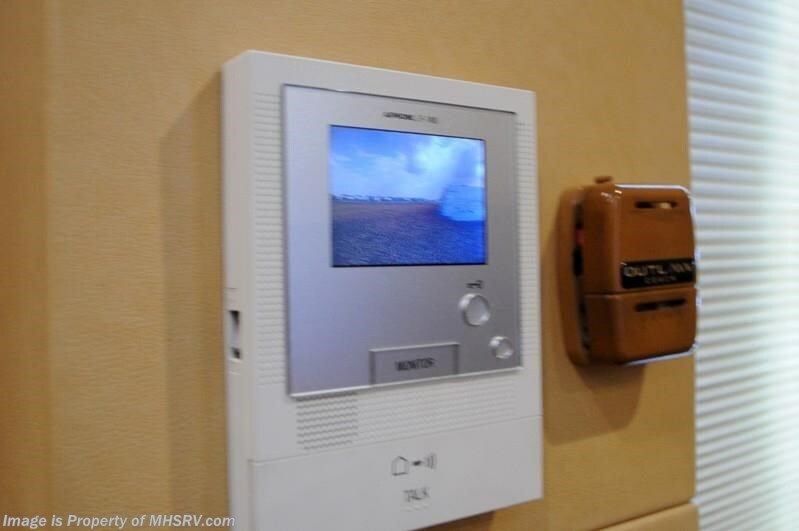 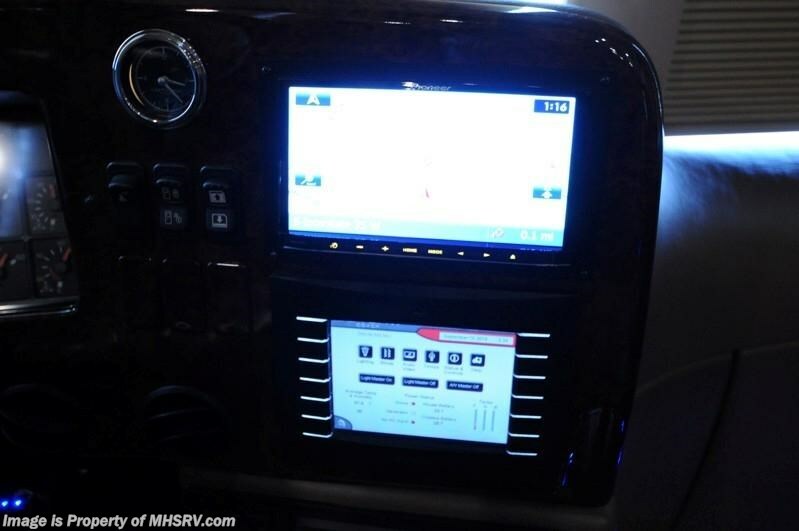 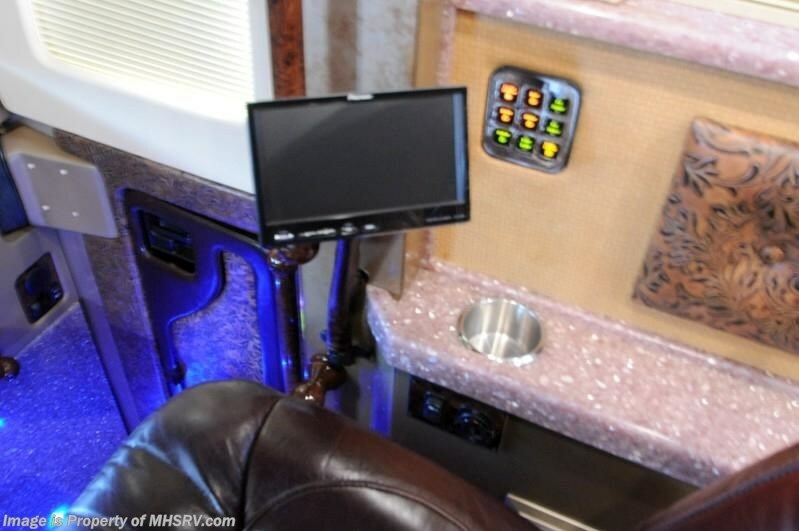 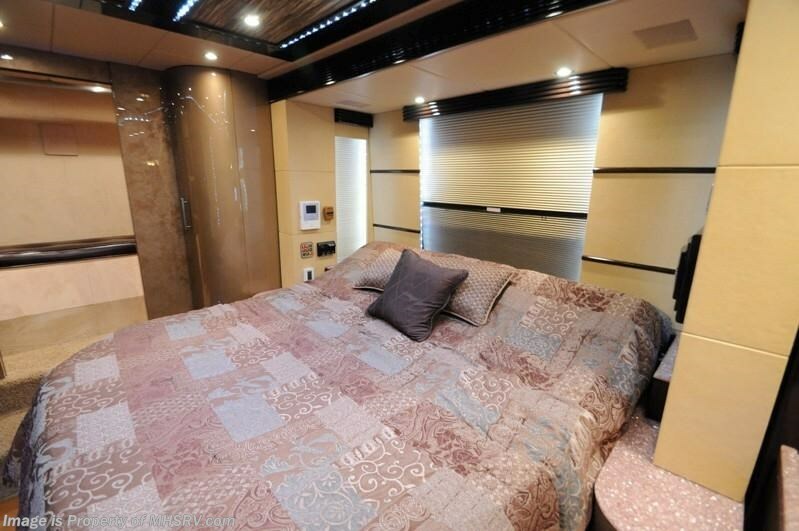 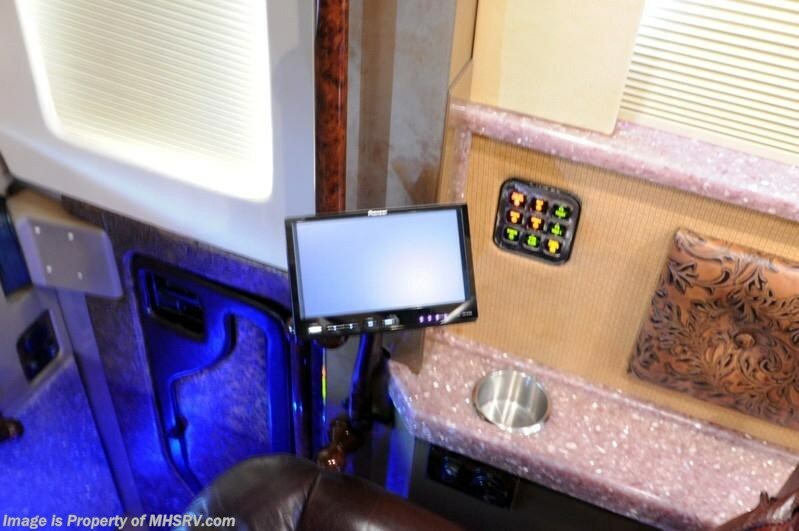 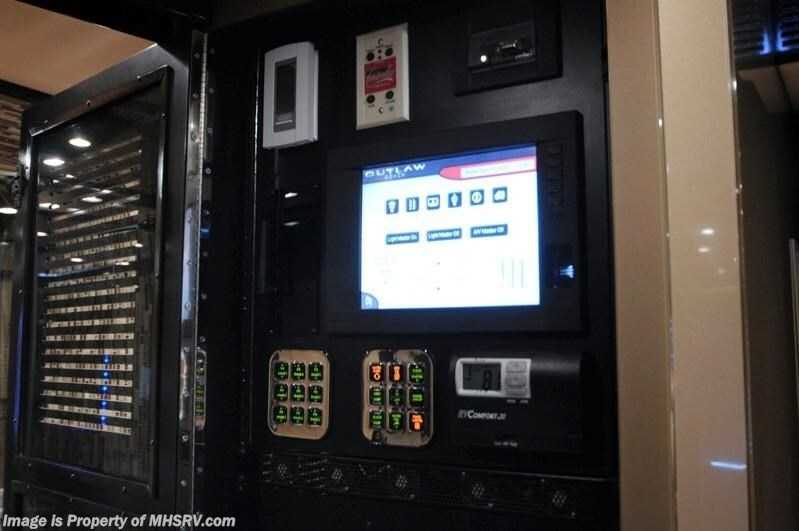 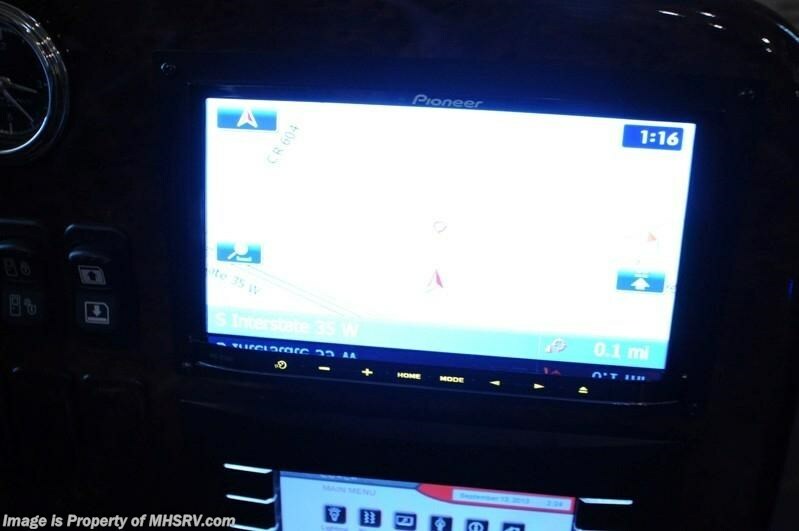 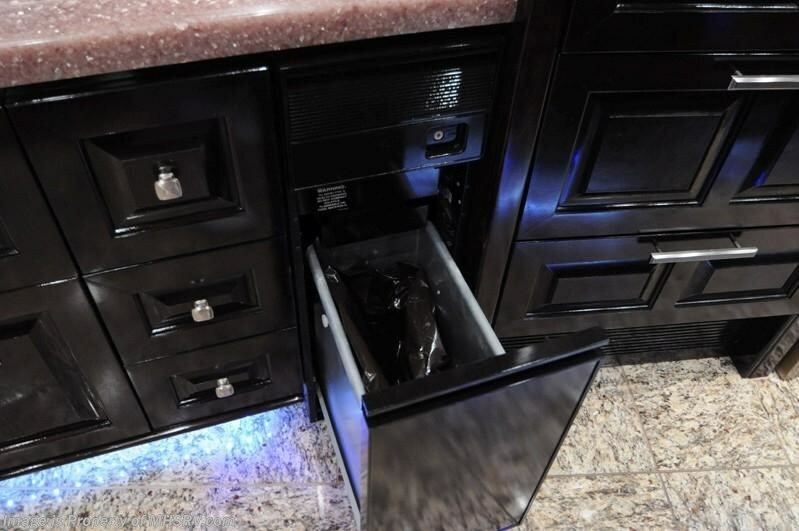 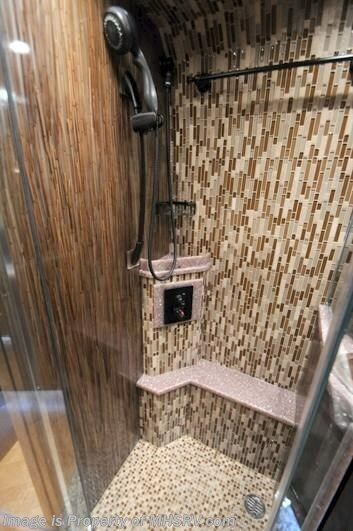 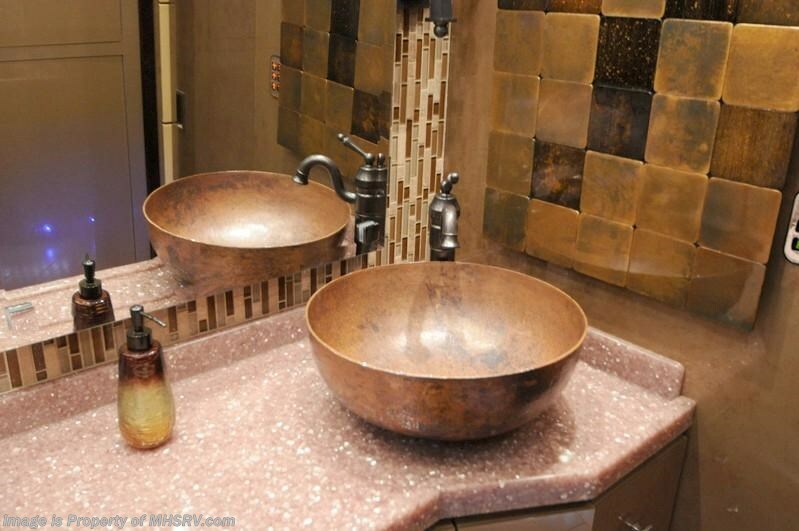 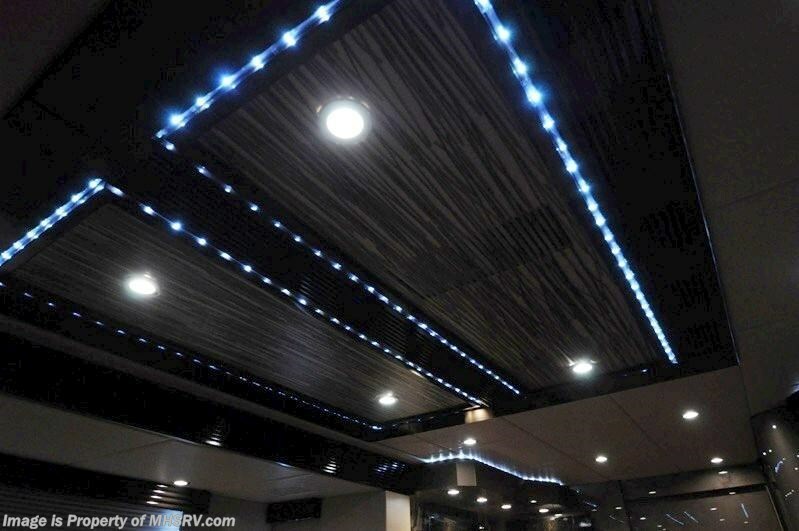 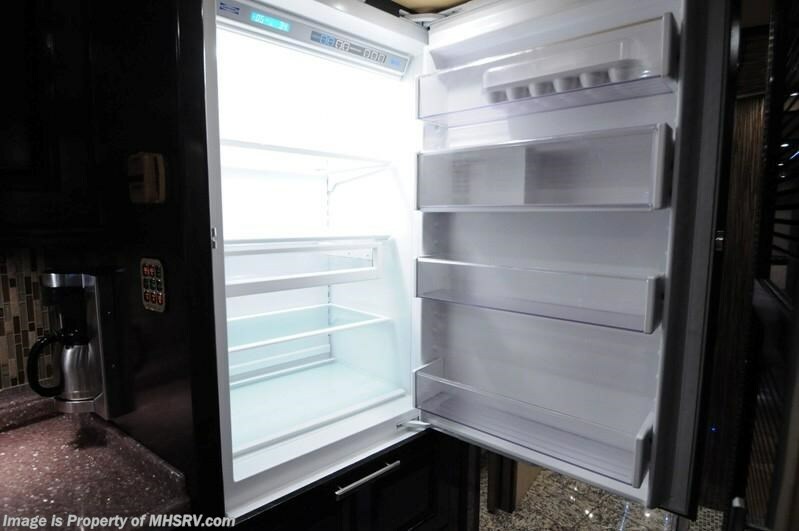 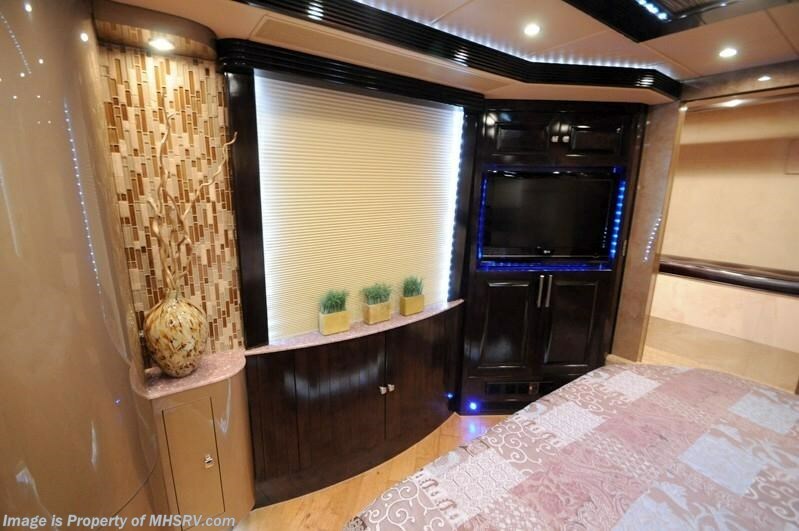 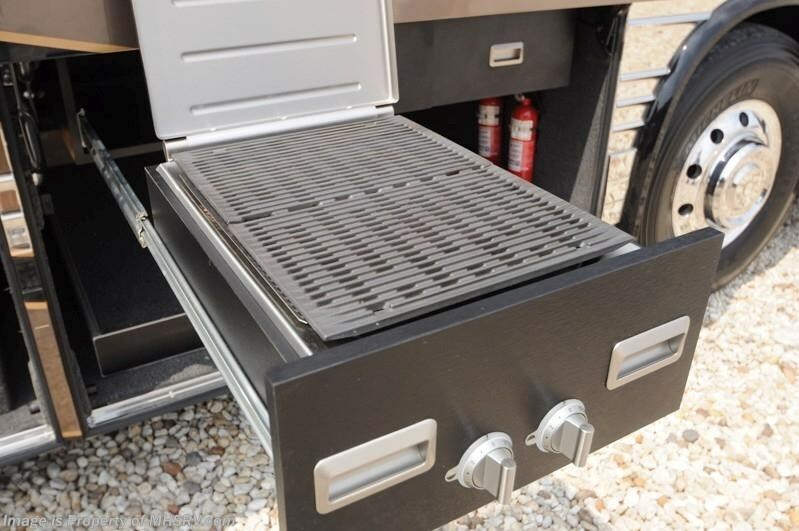 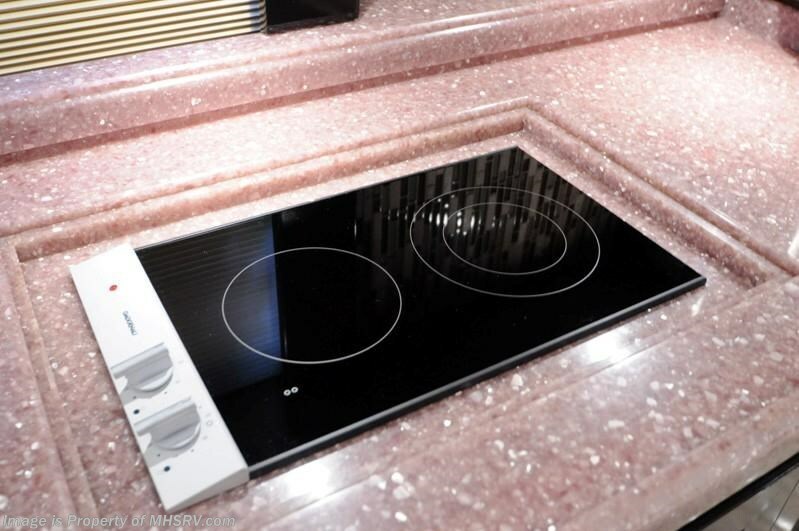 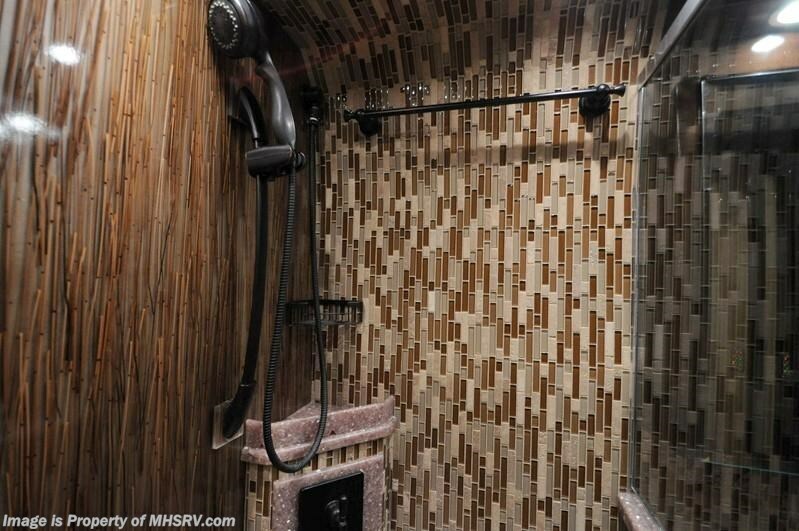 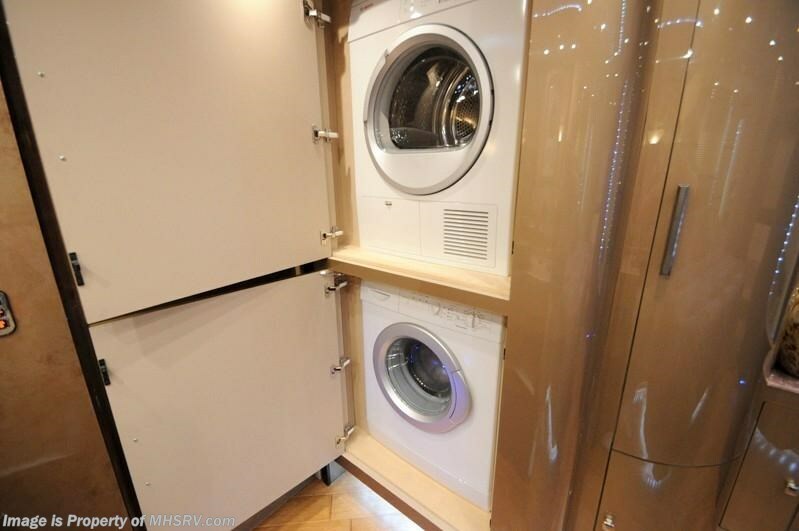 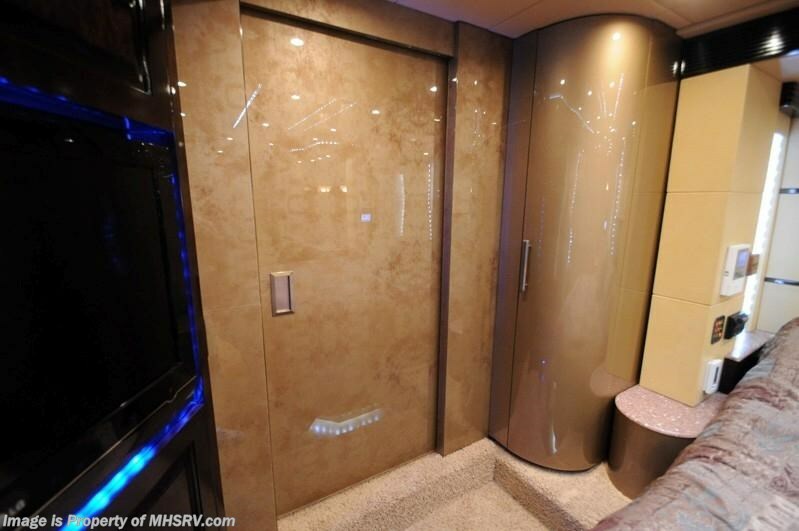 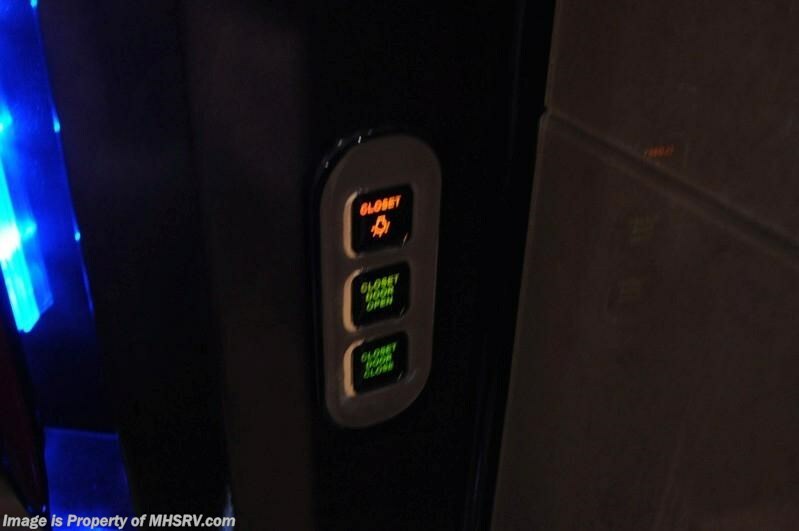 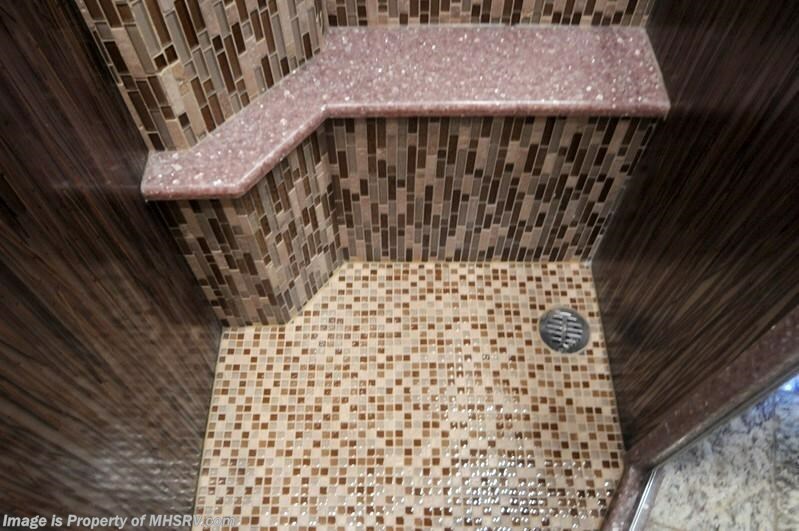 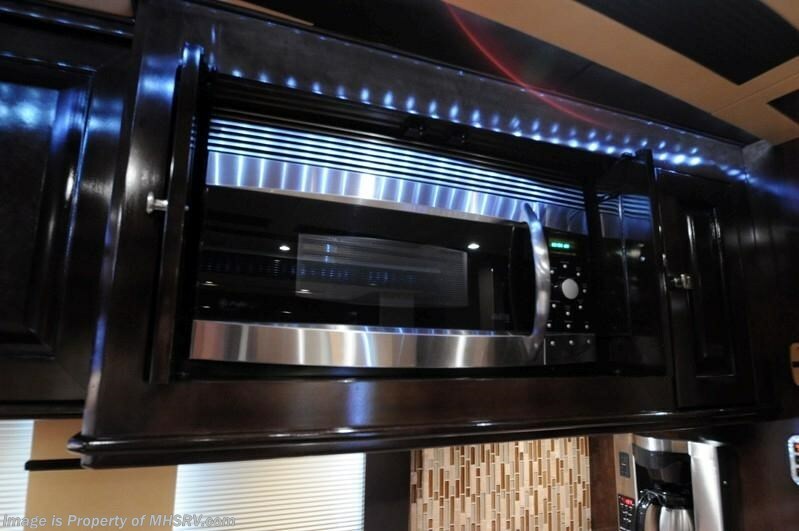 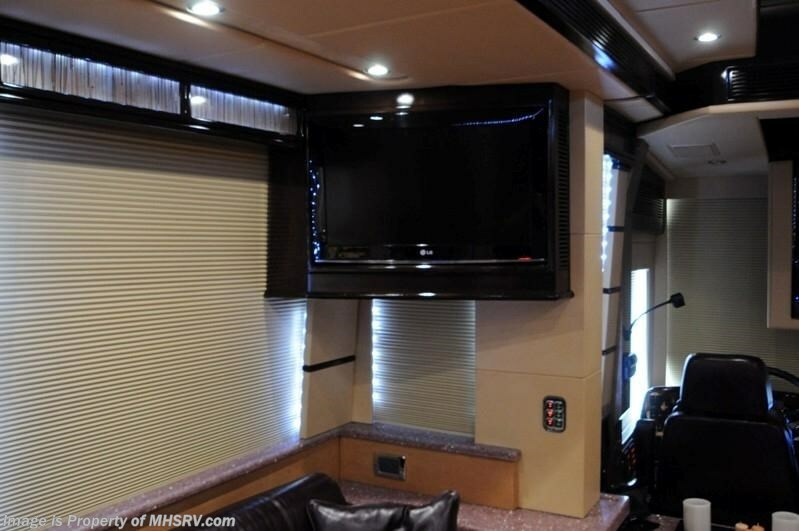 For additional information and photos please visit Motor Home Specialist at www.MHSRV .com or call 800-335-6054.